A new year is upon us! Can you believe it? 2018 was a bit of a whirlwind. In academia, we saw big changes in the world of journal publishing with the launch of Plan S among other open access (OA) mandates, an ongoing shift towards digital-first publishing practices and born digital journals, and advances in community-led publishing efforts. Here at Scholastica, we’ve been building out our software to modernize all areas of publishing and help OA journal publishers do more with fewer technical hassles. We’ve also continued creating new resources to help editors and publishers keep up with the evolving digital landscape. The start of a new year is always a good time for reflection—to think about where we’ve been and where we’re going. Before we dive into 2019, we wanted to take the opportunity to look back at some highlights from last year and our plans for the year ahead. 2019 here we come! We introduced many updates to Scholastica in 2018, and among our most exciting announcements was the official launch of a new PDF and HTML typesetting service for open access journals. Scholastica uses advanced typesetting technology to take DOCX manuscripts and turn them into beautiful HTML and PDF articles - including complex graphs, tables, and embedded media - quickly and reliably across mobile, tablet, and desktop devices. Typeset articles are sent straight to Scholastica Open Access Publishing, ready to be published to a modern journal website. We know typesetting is one of the most arduous parts of publishing an academic journal. By creating a service to simplify the typesetting process, we are making it easier for academic institutions and scholars to produce journals on their terms without having to contract out to external publishers. You can take a look at the behind the scenes of Scholastica’s typesetting process, including how we work directly with journal editors and publishers to handle final proofreading, in this blog post. We’ve also continued to make improvements to our OA publishing software. Among the new features we introduced in 2018 were the ability to add custom pages to Scholastica’s journal website template, as well as readership analytics displayed on all HTML articles published via Scholastica. Additionally, we improved the load times of journal websites hosted via Scholastica and we added Google Scholar links for the references in all articles we typeset. This year also marked the launch of some exciting updates to help journals save time on archiving and indexing. We now offer automated article and metadata deposits into the Portico digital preservation archive and the Directory of Open Access Journals (DOAJ). 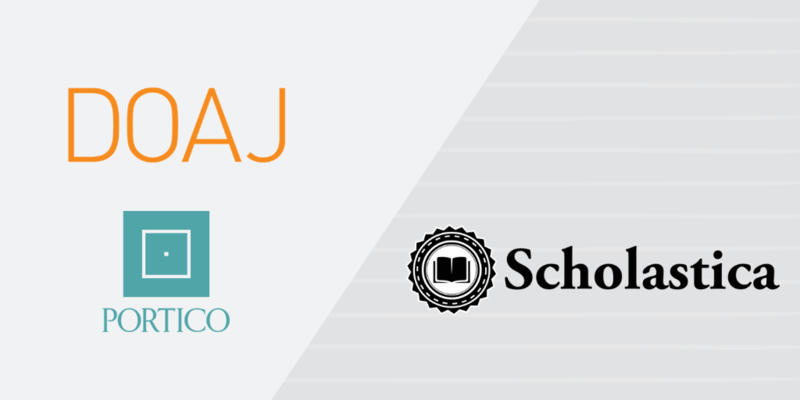 The new automations are available to all journals using Scholastica’s Open Access Publishing Software. In order to initiate automatic content deposits into Portico or the DOAJ via Scholastica, journals must first set up accounts with either service and be approved to use them. Once approved, journals notify Scholastica to set up a content deposit feed for them and the rest is handled automatically. Additionally, all XML files produced by Scholastica now meet PubMed’s indexing criteria. So journals that deposit articles into PubMed can save the step of formatting XML files for ingestion. We know that proper archiving and indexing can be challenging and we’re working to help journals have more options with fewer technical headaches. Stay on the lookout for more OA publishing integrations and automations in the near future! The Journal Editor’s Definitive Guide to Digital Publishing (2nd Edition): This new-and-improved edition covers everything you need to know to modernize your journal’s online presence with examples from successful journals. 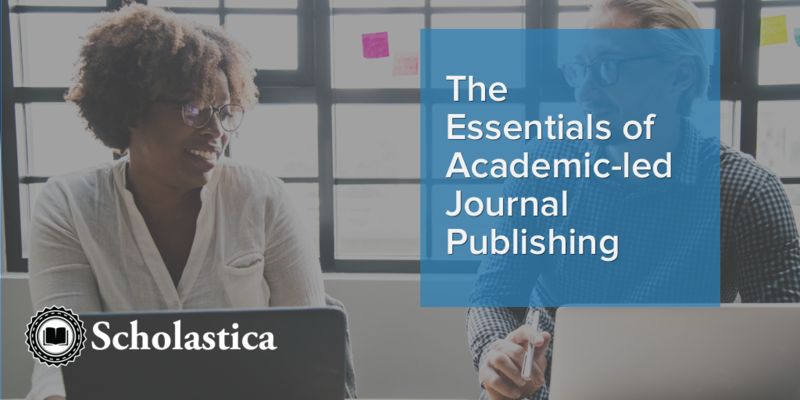 The Essentials of Academic-Led Journal Publishing: This free eBook explores the rise of academic-led publishing, and overviews examples of successful academic-led journals and the publishing and funding models they’re using that you can too. How to start or flip an open access journal: Academic-led publishing primer: This mega blog post breaks out all the steps needed to get a new OA journal up and running or flip an existing paywalled journal to an OA publishing model. Last year we also took time to support and highlight some of the many community-led publishing initiatives happening in academia lead by university libraries, academic institutions, and even groups of scholars. 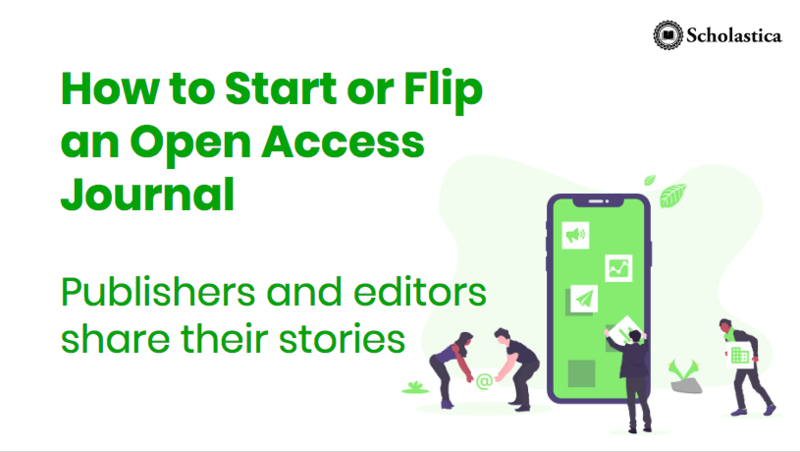 We hosted a webinar titled “How to Start or Flip an Open Access Journal: Publishers and editors share their stories“ that featured two great examples of academic-led OA journal publishing. The webinar features Jaclyn Sipovic and Sean Guynes, the outgoing and incoming Journals Coordinators at Michigan Publishing, respectively, as well as Hugh Thomas, Co Editor-in-Chief of Algebraic Combinatorics, the flipped version of the Journal of Algebraic Combinatorics. Scholastica also introduced a free public resource page titled “Welcome to the age of academic-led journal publishing” to provide an overview of the academic-led publishing movement and resources for scholars and institutions looking to support or launch academic-led titles. We’re eager for all that 2019 has in store! At Scholastica, we’re committed to lowering the barriers to publishing modern open access journals so more community-led publications can flourish. With the introduction of our new typesetting service in 2018, journals can now single-handedly manage peer review, typeset articles, and publish on a modern website using Scholastica software, rather than contracting out to expensive corporate publishers. In 2019 we’ll continue to develop our publishing software and services to help journals do more with fewer technical hassles. We’re also looking forward to participating in the first Academic-Led Publishing Day, a global, digital event to celebrate and facilitate academic-led publishing that will be held on February 7, 2019. To see a list of all ALPD participants and resources so far, as well as to learn how to get involved, visit the official website! We want to thank you for taking the time to read this blog. We will continue striving to be a resource for journal teams and the wider academic community in 2019. 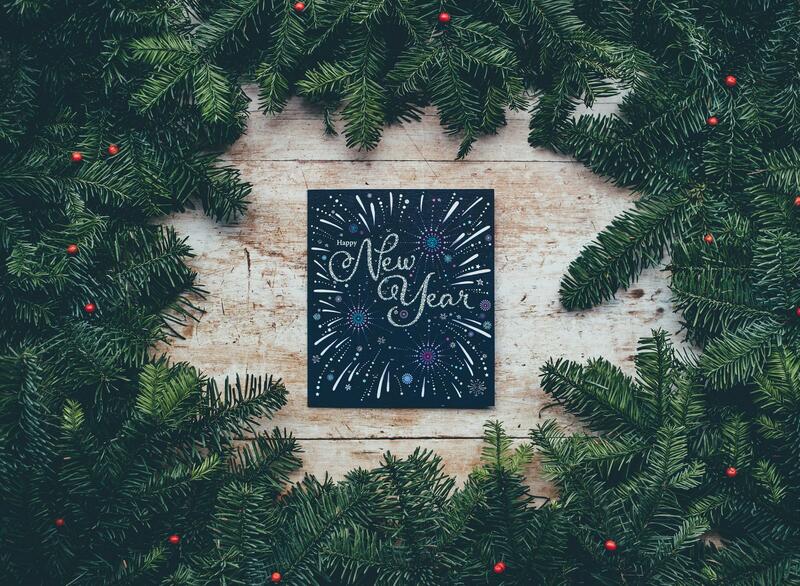 From everyone here at Scholastica, we wish you a very Happy New Year!